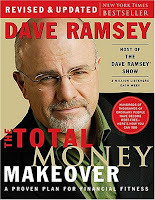 In this book, Dave Ramsey lays out a brilliant plan for getting out of debt. It's brilliant because any rational human being would see it as sub-optimal, but Ramsey realizes something important about human nature. We're not rational. A rational plan for paying down debt would be to tackle the highest-interest debt first, keeping only what you need for one month in a savings account. An emergency fund would make little sense, as you could borrow from credit cards for that purpose. Ramsey, on the other hand, realizes that most of us don't have the discipline to follow that plan. If we did, we wouldn't be heavily indebted in the first place. A cash emergency fund meets our psychological desire for security. Paying down the smallest loan first, regardless of interest rate, gives us the chemical rush that comes from successfully getting rid of the first loan payment. Total commitment to the plan is necessary to override our cultural desire to keep up with the Joneses. The Joneses borrow to maintain their lifestyle. Getting rid of debt requires that we do the opposite. The key phrase in the book is, "If you will learn to live like no one else [frugally], later you can live like no one else [wealthily]." It's not the 12% that I disagree with. There are simple trading methodologies, such as momentum, that achieve compound annual returns in that neighborhood with low volatility. A market with a high return (momentum) over the past 12 months tends to produce a high return in the following 12 months. The kicker is that the momentum effect disappears if you look back more than a year. Markets that had strong returns two years ago tend to underperform going forward. This is called mean reversion. What if a large-cap manager got his track record by investing in a sector that happened to outperform large-cap stocks in general? If that sector mean-reverts, his outperformance will turn into underperformance. Think about home prices, which moved steadily upward from World War II until 2005. Those who bought real estate based on that track record suffered large losses from 2006 to 2009. If a fund manager uses trading strategies, mean reversion might not apply. Strategies like value (buying "cheap") and momentum (following trends) don't disappear permanently the way the railroad, utility, and communications booms did. But these strategies aren't part of Ramsey's asset allocation. A long-term track record is only an asset if you have a good reason to think that the manager's outperformance will continue. If you're in debt right now, Ramsey's approach is psychologically tailored to get you financially free. I recommend the book for that purpose. Borrow it for free at the public library. Once you're out of debt, you can use the income that used to go to debt payments toward self-funding a ministry dream. For this, Mebane Faber's book on momentum investing, The Ivy Portfolio, is a good read. I've also written a post on how momentum works. Having been a millionaire and gone broke, I dug my way out by making a decision about looking good versus being good. Looking good is when your broke friends are impressed by what you drive, and being good is having more money than they have. Instead of promising the normal dose of quick fixes, Ramsey offers a bold, no-nonsense approach to money matters, providing not only the how-to but also a grounded and uplifting hope for getting out of debt and achieving total financial health. Ramsey debunks the many myths of money (exposing the dangers of cash advance, rent-to-own, debt consolidation) and attacks the illusions and downright deceptions of the American dream, which encourages nothing but overspending and massive amounts of debt. "Don't even consider keeping up with the Joneses," Ramsey declares in his typically candid style. "They're broke!" He gives sure-fire ways to build up savings for emergency funds, for your kids' college, and for your retirement, and he supplements this wisdom with heartfelt stories from real people just like you - people who were once languishing in debt but are now flexing their strong fiscal physique. The Total Money Makeover is all about "renewing your mind," using God's ways of handling money (over 800 scriptures deal with money) to be "transformed" (made over). It's a plan to stop being "conformed" to the ways of the world and as ridiculously broke as the rest of our culture. And this isn't theory. It works every single time. It works because it is simple. It works because it gets to the heart of the money problems: you. What Happens After the Market Goes Down?